Before we begin, your IQ robot should have its firmware updated: (Link). Next you will need the following: Rolling Platform / Clawbot / etc. 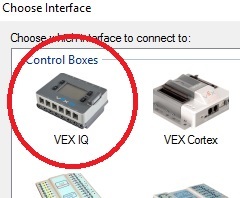 Connection – when your IQ brain is connected via the USB cable, and powered on, select the VEX COMM port for programming communication. 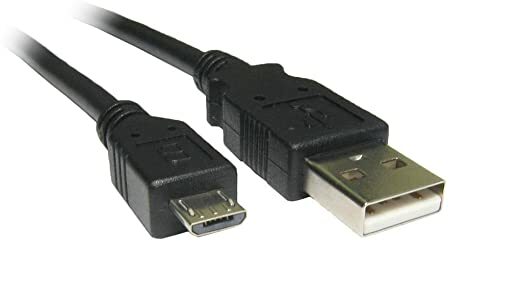 this may be different from computer to computer. Downloaded Program – Where in the brain do you want to store your program (4 slots to choose from – this means your robot brain can store up to 4 individual programs) . 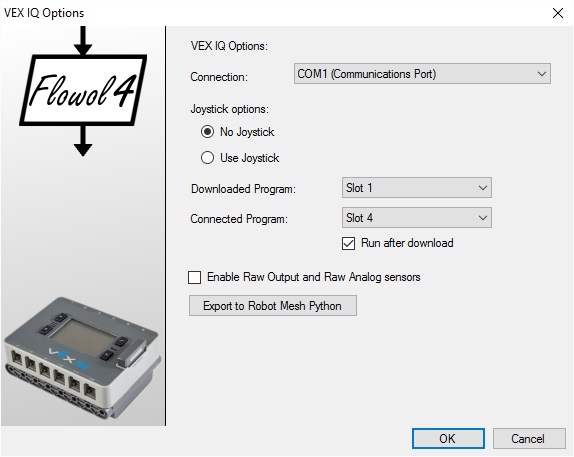 Next create a test program to check your computer’s connection to the robot (Next Step).